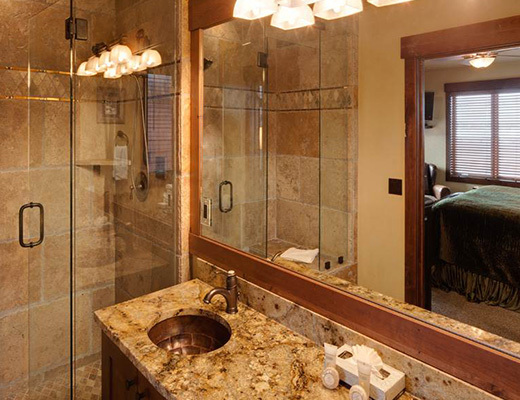 Built in 2007, this luxurious vacation rental boasts stunning design and detail. 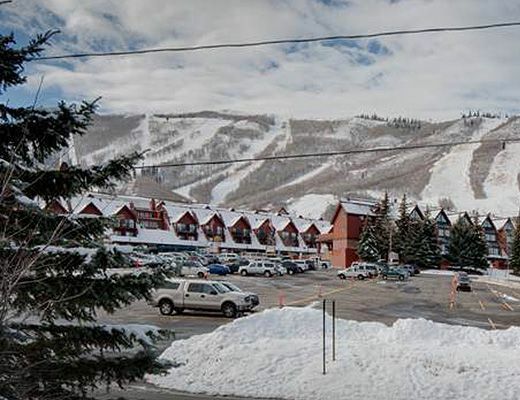 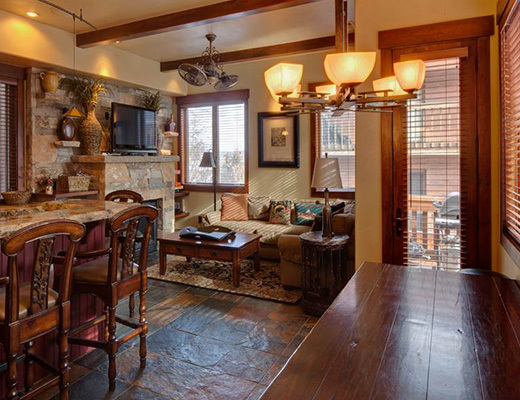 Located adjacent to Park City Ski Resort and free shuttle, guests are sure to enjoy the convenience of historic Main Street. 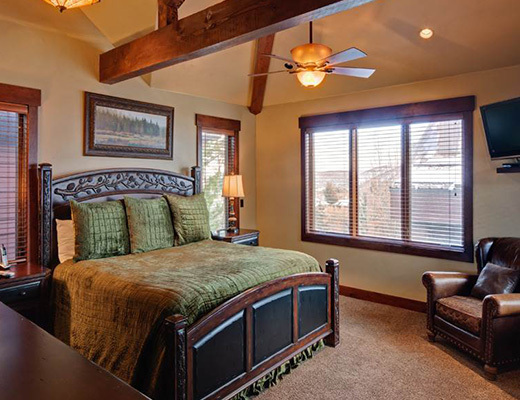 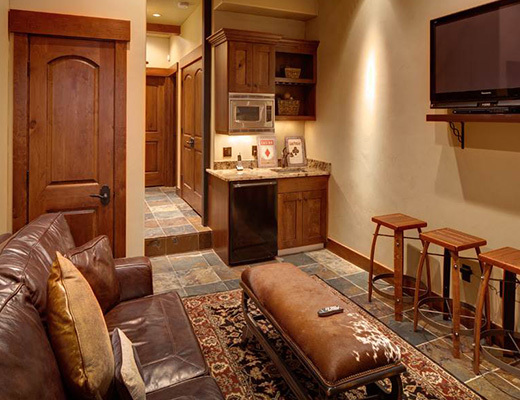 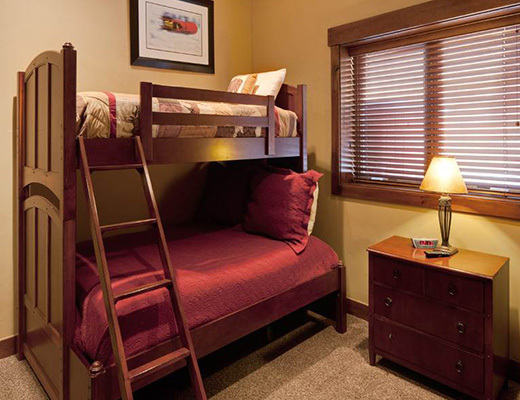 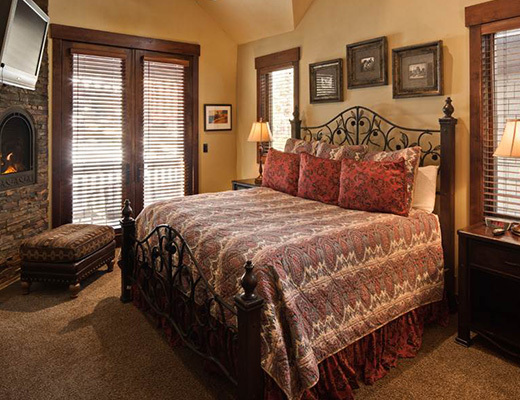 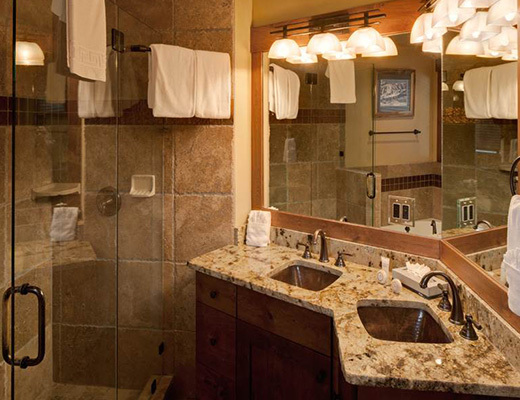 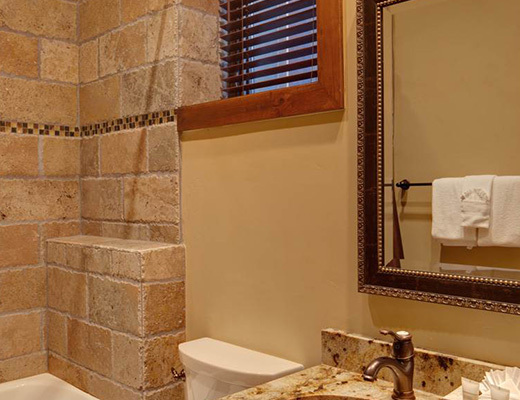 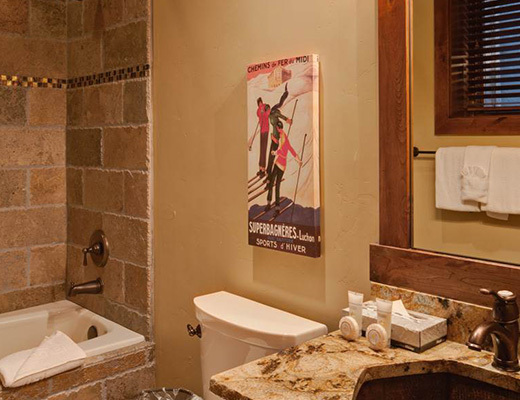 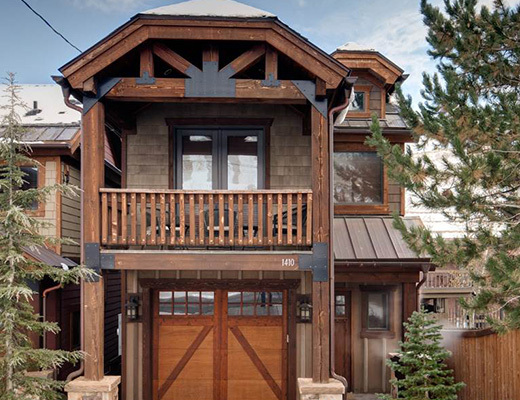 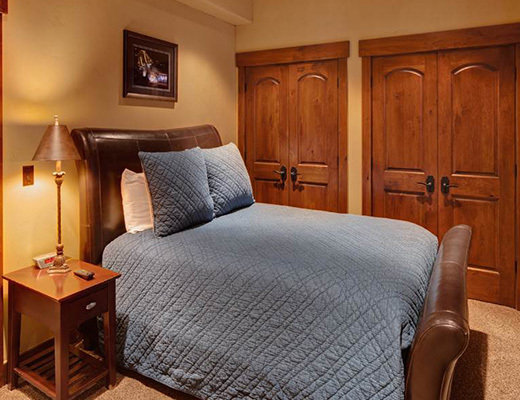 With its stunning dÃ©cor, fine furnishings and exquisite finishes, this property takes mountain lodging to the extreme. 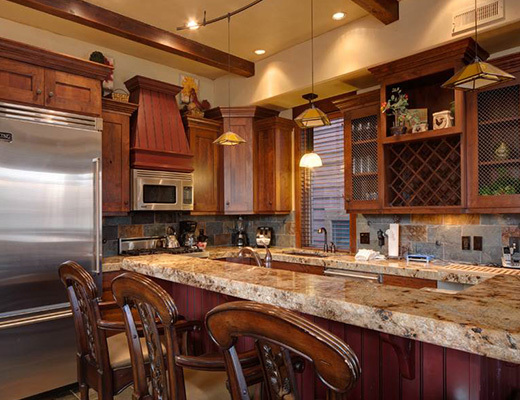 The kitchen, complete with granite slab countertops, cherry cabinets, upgraded stainless steel appliances, is perfect for preparing a fabulous feast, while the living room with its impressive stone fireplace and cozy sectional offer a restful retreat. 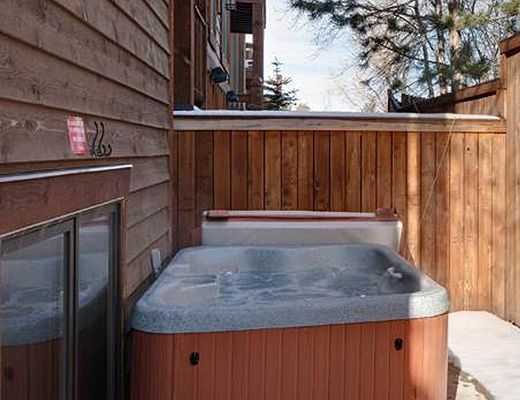 Jetted tubs, stone-tiled floors throughout, custom plumbing fixtures, wood blinds, heated drive, wet bar, private hot tub, audio-wiring and equipment all help to round out the amazing list of amenities that this property has to offer. 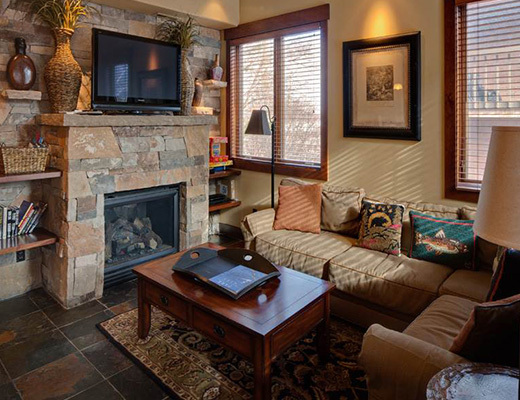 With four bedrooms and five baths, this spacious property has accommodations for as many as ten guests.